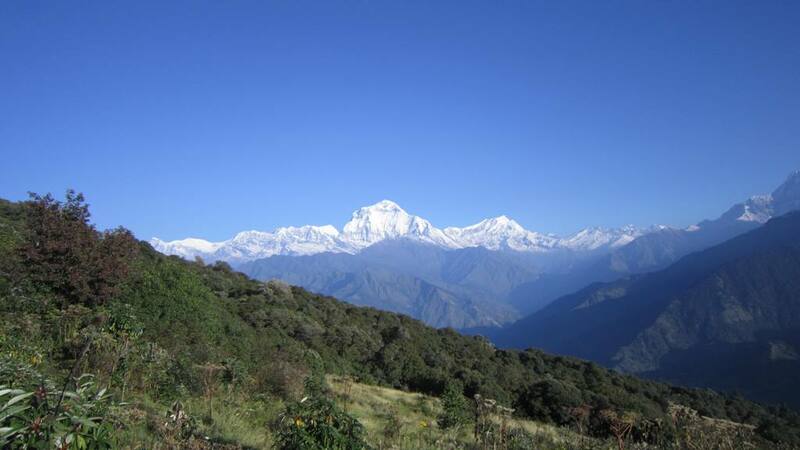 Autumn is considered as the best trekking season for the trekking in Nepal. September, October and November are fall in this trekking season in Nepal. During in this season offers excellent weather and beautiful mountain views. Temperature is moderate, making it a good time for any trekking. The sky is generally clear with outstanding views. Occasionally short storms may dump considerable snow at high altitudes. ​This season is noted for occasional snowfall at higher elevations in Himalayas. Though it gets colder in night, often it offers the clear day / blue sky and relatively less trekkers on the trail. However, we need to be selective in choosing the winter trekking as climbing and crossing high passes trip won’t be an ideal option. Trek like Everest base camp, Annapurna Panorama, Jomsom Muktinath, Panchase Hill , Annapurna Sanctuary, Instant Everest treks etc can be done even in winter. Different varieties of wild flowers, specially the rhododendrons, make the hillside above 5000 meters a haunting paradise during this season. It is mildly warm at lower elevations and at higher elevation over 4000 meters the mountain views are excellent and temperature is quite moderate. Summer months really continue up to mid-September making travel wet and warm. These times are blessed for the keen botanist as the higher valleys and meadows blossom with flowers and lush vegetation. Insect repellent is a nice addition to your What to Bring list. During this season, you can trek in the rain-shadow (places are out of reach of the rain clouds because of the high mountains) areas north of the Himalaya like Mustang and Dolpo.